I hope you will enjoy just few of our random thoughts about one of Kdramalands driving force: OTP (aka One True Pairing). leila8mae: I just woke up! Haha… What time is it there? leila8mae: What!! Sorry girl.. So we are both like sleepy heads right now! Haha. We have to be creative though. Thoughts limited at 140 characters. choufy: The truth is : I am a TV Show addict since… Forever. But I never heard the term OTP before Dramaland… What about you ? choufy: lol Coffee House was unique in soooo many ways. But that is correct : hard to figured it out the OTP on this one. leila8mae: Anyhow, who’s your favorite pairing so far? People always fight for the OTP. We’d touch shippers war later. choufy: You mean above all ? Mmmm. Let me think… Well… Are we talking man-woman basic formula here ? OR are we talking about oh-so-true-to-my-soul but silly OTP ? And what about BROMANCE ? Because I would say, sidekick couple are the best. Recently: City Hunter, Yoon-Sung/Shik-Joong ajusshi are just pure LOVE. leila8mae: We can talk about bromance too! Haha! City Hunter was indeed fun because ajusshi is the sweetest! leila8mae: Are you that regular shipper when you watch a series? choufy: Basically, I don’t ship. Like you said, the couple which is meant to be is so obvious anyway. 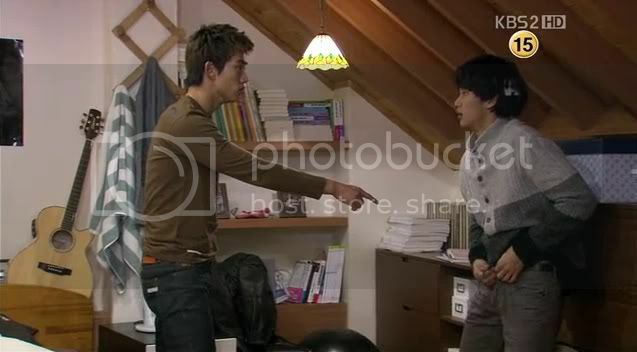 leila8mae: Bromance are good side dish like Sam dong and Jin Gook of Dream High. Have you seen it? choufy: I watched it untill Episode 14 ? lol They were cute fighting over some underwear… But Sungkyunkwan Scandal ? With Goo Yong-Ha & Moon Jae-Shin ? *3*/ I’m sorry but that was hot! leila8mae: Yoo Ah In with just about ANYONE will be HOT! Haha! choufy: City Hunter was more about father figure, not really the OTP I think. So… Why did you choose this topic by the way ? leila8mae: Because I’m so into Heartstrings that I wanted to talk about the OTP… It’s the driving force of a drama. leila8mae: I have to agree… The atmosphere that he created in that raindrop scene is love… Surely he’s involved with that… Rain equals PD Pyo… Haha. choufy: lol. Oh~ Coffee House‘s phonebooth scene *memories, memories*. leila8mae: OH MY GOD!! I see certain connection… Rain must have some special powers in PD Pyo’s heart.. Haha. leila8mae: I guess some viewers are looking for plot… But for me I’m satisfied with the sweetness somehow… I guess its the season… One of the things I’m looking for in a OTP is chemistry… The more natural the better… How about you? leila8mae: Story is dull.. And lifeless. choufy: In I Am Legend, for example, the heroine had way more chemistry with her ex husband rather than with the musician (who was supposed to be the male lead). leila8mae: Not every actor can pull off a chemistry… So those who do, really make fans the craziest. choufy: It is impressive how fans can react about OTP. We can be really invested. leila8mae: True.. If you go to threads… Shippers war is the bloodiest !!! Haha… Nothing beats a “tug of words”. choufy: Do you know a drama where the OTP has zero chemistry to you ? leila8mae: Actually I was thinking about that… But can’t remember anything because surely I’d drop that series in an instant… Useless to watch when pairings are dull and don’t move me. Wait… the MIDAS couple.. I felt them during the first Episode but it suddenly died when the male lead turned dark. choufy: To me Dalja’s Spring OTP has zero romantic chemistry… Thank god the humour was there ! leila8mae: And The Greatest Love OTP didn’t get me like many others… Have to blame Yoon Kye Sang… Seriously it’s his fault!! choufy: lol I’m with you for The Greatest Love. The drama over all was ok, but I was not moved by the OTP. leila8mae: Triangles are there to make us feel confused. I don’t know where’s the fun in that! Haha. But believers are awesome. they can really justify! choufy: lol Do you have an exemple ? leila8mae: Hello!?! Those fans of Ham Eun Jung is one! Haha (I’m prepared for arrows to be shot!! Haha) When one is a fan of the actor… It always interferes with the OTP even if it does not make sense… For the love of the actors. choufy: I think watching it live with other people is a great addition to the madness. leila8mae: So true. Those who didn’t, miss on A LOT. But in a way those who weren’t with us saved themselves from being CRAZY and insane!! LOL. Moving on, I think leads always have a certain gene that ALL of them had to have. Eun Young was unique though. choufy: Eun Young is quite unique as a K-drama heroine which is why I love her. It might be the first time that I actually identify with a heroine. leila8mae: Have you watched Lie To Me ? What do you think about it ? The OTP was a netizen crack of the May season.. They were sensational, but did not get me… AT ALL. leila8mae: Have to say EUNSOO ship is engraved in me. It’s like a mountain that can’t be moved ! But I love Yoon Eun Hye. Just that, the chemistry didn’t work for me. I’m stuck with EP4. I have to rewatch and rethink..
leila8mae: Goodluck with that!! Haha. leila8mae: Jo Hyun Jae in 49 Days!! I swear… It makes US happy!! Hahaha. leila8mae: I haven’t watched Scent of a Woman though.. I’m currently watching 9 Ends 2 Outs… I really have a thing when OTP knows each other LONG enough… Compared to those who just met and fall in love. choufy: Maybe because it’s the building type, which in a long run tends to be stronger in a way… I enjoy that too. I like OTP which really care about each other. choufy: I guess when love is there to make people grow, that’s the best. leila8mae: An OTP that manages to tug just the right strings makes a whole lot of difference… Plus the relationship they have, most can relate to it. leila8mae: You got it choufy! They are honest… Most OTP’s lacks certain aspects… But I think it must be the way PD Pyo views a relationship… Do you think there is a formula of having a BEST OTP in a story? leila8mae: I’m not into that too! As a viewer I want to see how things develop and stop all the pretense and nonsense. They only have 16 episodes to prove it… No time to spare! choufy: Yep, I really enjoyed Worlds Within for that (even if the story became quite messy at some point). Noh Hee Kyung was the writer. And I believe that she influenced him a lot in that aspect. I love her essay. leila8mae: I have yet to watch that completely (stuck at a certain Episode)… I’m not sure about the OTP of that series, really. I know they dated, but somethings amiss. I guess Song Hye Gyo have to have more heart… And depth. choufy: Well Worlds Within is also about other people’s story and the behind the scene work of a drama really. leila8mae: Oh crap! The Secret Garden series… It reminds me not to expect too much in a story.. It didn’t deliver for me… So sorry… Going back, I’ve read that Noh Hee Kyung’s dialogues are one of the best. choufy: Yep but she is really wordy so it works better in a book (I think). I couldn’t get into Goodbye Solo for example..
leila8mae: Full House is fan service personified!! Haha… I enjoyed the cute… Song Hye Gyo is lively but nothing extraordinary. It’s under the dramas “just like many others” list. leila8mae: It’s the drama that changed my world though. LOL. Lee Min Ho is just… He’s going to be the death of me!! Anyway, choufy you’re about to have lunch? Can we wrap up the first part? Surely there will be next time right? choufy: lol I enjoyed it too ! Don’t worry, the time frame was not so bad 🙂 If you’re into PD Pyo and Noh Hee Kyung, I guess we will have a lot to talk in the future lol. 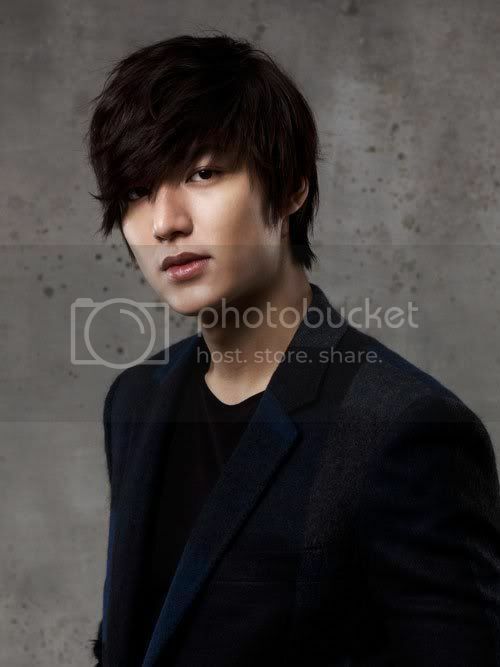 Or we can just spazz for Lee Min-HOT. I don’t even know if Heartstrings is plot driven cos where’s the plot? LOL. Anyway, when it comes to OTP, I let the story move me more than the actors. If their love is justified then I will allow the script to convince me they are in love even if the actors don’t have natural chemistry. I’m more about character chemistry than actor chemistry. For example in LTM, I felt that while KJH and YEH had chemistry, AJ and KJ didn’t have much… at least up till ep 10 which is where I stopped watching. But perhaps it’s also related to my EunSoo bias – I don’t know – since I know loads of EunSoo-ers didn’t jump on the HwanHee train. I don’t know. But I do know that I don’t have a problem with watching people from my favorite OTPs in other dramas. 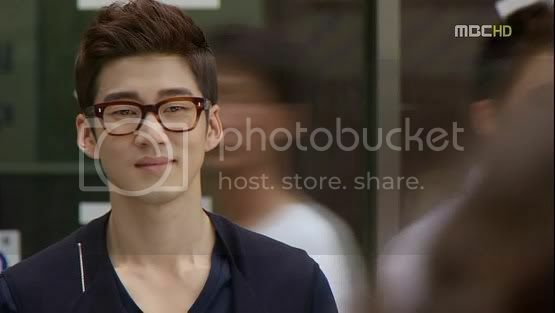 E.g I like KJH with Kim Ha Neul and Han Ji Min. Anyway for me, unless the actors have negative chemistry and their acting is unbelievable, if the script has an awesome premise that justifies their attraction and love, I can fall for any OTP. And in general I don’t ship because it’s kind of pointless when the pair is so freaking obvious that shipping is just a waste of time and emotions. I think my taste is somewhere between both of yours. I couldn’t get into BOF at all but Full House was fun even if it wasn’t the most amazing drama ever. Worlds Within, I just skimmed through. Yeah, the plot was missing for quite awhile, and I think there was actually a plot on the last episode of Hearstrings. They really could have worked that in the previous episodes instead of waiting to the last minute—doing that feels forced. I’m still trying to figure out the major arc of the show. It just felt like it dealt with a problem per episode. I’ll always love Heartstrings, but objectively, the plot wasn’t much. So of course, at the end of the day, the story matters… But like the chicken and the egg, I can't tell which one comes first : story or characters/actors ? Not every chemistry works for everyone. Maybe because I am an EunSoo fan that the Ji Hwan and Eun Hye’s pairing didn’t strike a chord with me. But really, just reading the synopsis of Lie To Me turned me off really … it was too formulaic. Otherwise, I probably would have given it a chance. Good job, guys! I really enjoyed reading your thoughts. Thank you Goodange, glad that you enjoyed it ! Totally unrelated though : OMO ! Natalia Lafourcade ! I discover her like a month ago, and her Hu Hu Hu album is LOVE. (I want the same feline hat lol). She was touring in Paris in June but I missed her * sigh*. Did you see her in a live show ? Goodness! I’m so glad you recognized my avatar!!! 🙂 Isn’t she cute?! She went to Paris? Wow. It’d be great to see her live, and no, I’ve never seen her perform live *sad*. So, which songs from Hu Hu Hu do you like? Anyway, I learned of her from the movie Temporada De Patos. If you haven’t yet, you should listen to “Un Pato”. It’s a cute song, and she’s so quirky in the video. And also, if you haven’t yet checked out Javiera Mena and Gepe, they’re very good, too. The CD artwork made me think about Goldfrapp-Seventh Tree at first 🙂 If you enjoy the quirky style, you might try Claire Diterzi – Tableau de Chasse. And now that you mentioned it, the Hu Hu Hu cover does have a bit of similarity with Goldfrapp’s Seventh Tree album cover … man, I haven’t listened to her in years! I should revisit. Awwww.. miss Coffee House and EunSoo already! XD But it’s still KJH X HJM in Capital Scandal for me. <3 And I guess like you clock, Lie To Me OTP just didn't mesmerize me. Maybe KJH and YEH, but not the OTP. My OTP this year and for years to come I believe, Dong Ju and Woori of Can You Hear My Heart, played so wonderfully by Kim Jae Won and Hwang Jung Eum. An OTP who stayed true to their feelings for each other from beginning to end. LOVE. And maybe JW and YJ of SoaW? Still can't get tango scene off mind! URHH! I watch to be told a story and led down the drama’s path. LTM lost me early because I saw nothing. It was like watching scenes filled with bubbles that once they are swept away, there was nothing in its place. Where was the story? I bailed after ep 4 because I got tired of looking or waiting for it. Choufy, I’m with you on wanting What’s Up? to hit the air….. I (am deluded) have faith mskololia ! Heeh, I only started learning about OTP during Coffee House 😉 That show was just … emotional! It was clear who was the true pairing, but somehow, the drama managed to make us guess and become anxious. Love this site. Big Fan of Heartstrings. Before that a “Shin” would have never been my type. But did he manage to change my mind quick about that, lol. Decided that for now he’s my only type. Wanted to ask if any of you had certain favorite “grapping of wrist” scenes. Just thought that there are probably some great ones I haven’t seen, that I should watch. I agree, Shin is ADORABLE. He’s a little too perfect for my taste, but I certainly wouldn’t mind having one of him. aah, interesting that you view the wrist grap as something “machismo”, I get it because I’m more on the dominant side myself and if someone grapped my wrist I probably would pull away. But in the dramas I always view it as the men overcoming their helplessness in reference to their feelings. You know, kinda like they finally have the “guts” to show the female that they do like her. In reference to the sceen your describing. Aaww my little Shin trying to be a man…. Thinking about putting a pic of him in my wallet LMAO.